4 Bedroom/ 4.5 bath home with a private pool in Palmetto dunes, close to the beach! 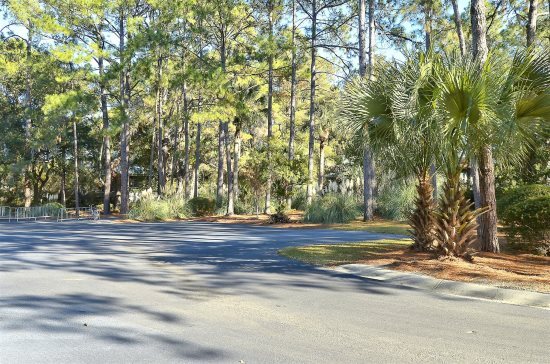 You will love to relax and enjoy this inviting home in the heart of Palmetto Dunes Plantation. Upon walking into this bright and airy house, you will see a living room with a sofa, love seat, large windows and a tv. 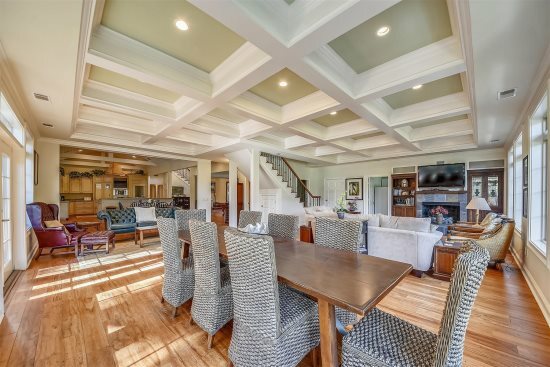 On the other side of this living room is a dining room with seating for 8, attached to a large kitchen. A separate powder room and master bedroom are located on this floor as well with a king bed, tv, private bathroom with a double sink and jacuzzi tub. Walk past the kitchen and adjoining laundry room to the stairs. Up 5 stairs, there is a bedroom with a king bed, tv, twin sized sleeper sofa and private bathroom. Up eleven more steps you will find 2 more bedrooms, one with two fulls beds and one with two twin beds, each has their own bathroom as well. Feel like taking a dip? Just walk out the french doors attached to the living room and down the steps, a large refreshing pool awaits. This spot is perfect for grilling out, or just relaxing at the table and chair set for 4 or one of the 2 lounge chairs. After you've had enough of the pool, just take a short stroll across the street, which is where you will find the bridge access that will take you to your beach access next to the Hilton Resort. The house was close to the tennis courts and had plenty of room for various activities. Our team thoroughly enjoy the property. We have been at HH for the last several years, and your property was the best yet. We absolutely loved our stay in the home. I can't think of one negative. It was a delight all around. the house was very clean and beautiful. Everything needed was there. We were a group of 9 and had had plenty of space. The bedroom layout was perfectly appointed. The kids loved the pool. That was a big hit and makes this house fantastic!! We were a short walk to the beach. Although we didn't rent bikes , many people around us did so that's a nice option to have. Overall it was the perfect week away from home and we really felt relaxed and enjoyed it. It was wonderful to have someone at the house to check on us within the first half hour of our arrival. That is the kind of customer service we give with our business and appreciate getting. We had a blast and the property complimented our good time! We will definitely stay with you in the future. Thank you for everything! We thouroughly enjoyed our accomodations. This was the best experience on Hilton Head yet and we have stayed in many lovely Sunset rentals. We hope to see you next year.